The Mexican restaurant you’ve been waiting for in Downtown San Luis Obispo! Flavorful, fine Mexican cuisine featuring a perfect twist on all the classics. Specializing in infused tequilas, in-house margaritas, authentic yet unique Mexican cuisine served with exceptional service in a beautiful ambiance. Welcome to La Esquina Taqueria in the Creamery of San Luis Obispo! Hungry? Why wait? Please email your reservation request to Leonard and receive a confirmation email within 24 hours. 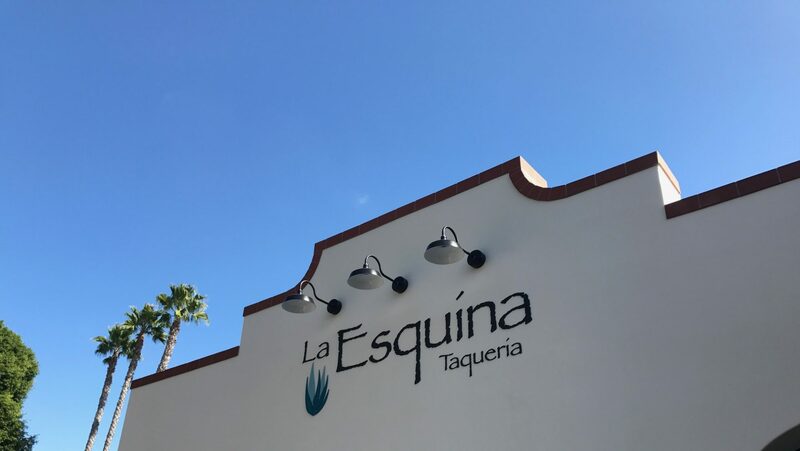 Brought to you by the owners of Ciopinot Seafood Grille, Leonard and Wendy Cohen, La Esquina Taqueria is the perfect addition to San Luis Obispo. Seeing a need for classic, Mexican cuisine in SLO, Leonard’s passion for authentic Mexican food in SLO could not be sidelined. La Esquina Taqueria conceptualized years ago and he is thrilled it is finally a reality. The Cohen’s put the utmost detail and care into La Esquina; the exquisite decor, the authentic recipes, and the detailed service will leave you wanting to come back time and again.